Many years ago, I was lucky enough to witness a brilliant sunrise at Walt Disney World's Magic Kingdom. 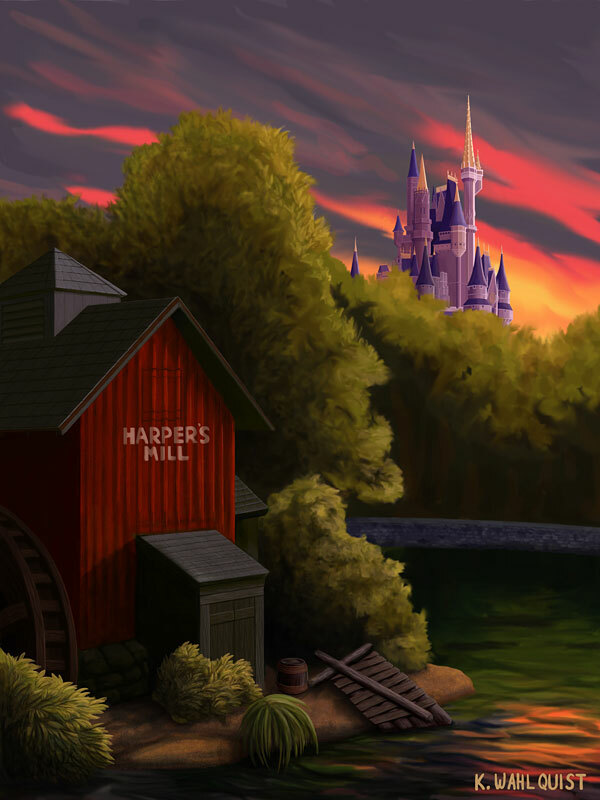 The day's guests had not yet arrived, and the sky was lit up in a dazzling array of colors over the peaceful Rivers of America. I had no camera, but the memory has remained with me ever since. I captured my impressions of that morning in this piece.